Avery Brooks is a master narrator. He takes on dozens of characters each with such distinction and rhythm it's as if, following the heart of the book, this story is being told to you instead of read to you. At times I was convinced Mr. Brooks had memorized this entire book, his reading so smooth and eloquent. He is the perfect choice for such an important work. 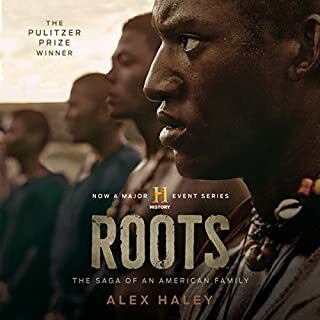 Roots was Excellent in every way.